Nsemia Inc. Publishers announce the publication of A Beacon of Hope by Jaspher Rori. The book starts its story from a village in Manga that had shunned education and stuck to its traditions and customs amidst the changing times. It is a village caught up in a disadvantaged position compared to its neighbours who had earlier embraced education. Education is belatedly seen as a means of escape from their misgivings: the breast milk they had all along denied their children and a breath that will give life to it. The tale follows the lives of three people in Gusii society and the different paths taken, the encounters faced and their responses to fluid circumstances of a society in transition. 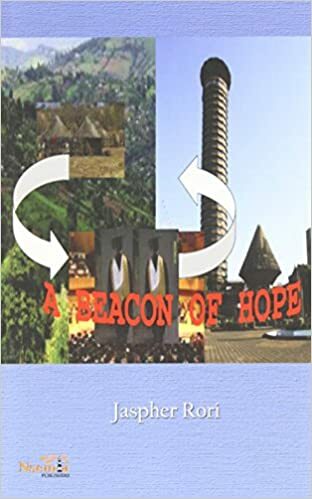 Considered “beacons of hope” the three characters’ lives encounter circumstances, interwoven intersections of social change brought about by colonialism, religion and “modern” education. Clearly, no gains happen without cost: colonialism, a new religion, and associated education came at a cost for the people of Africa: loss of their culture. The stories of the characters offer askance whether modern education was worth it at all!